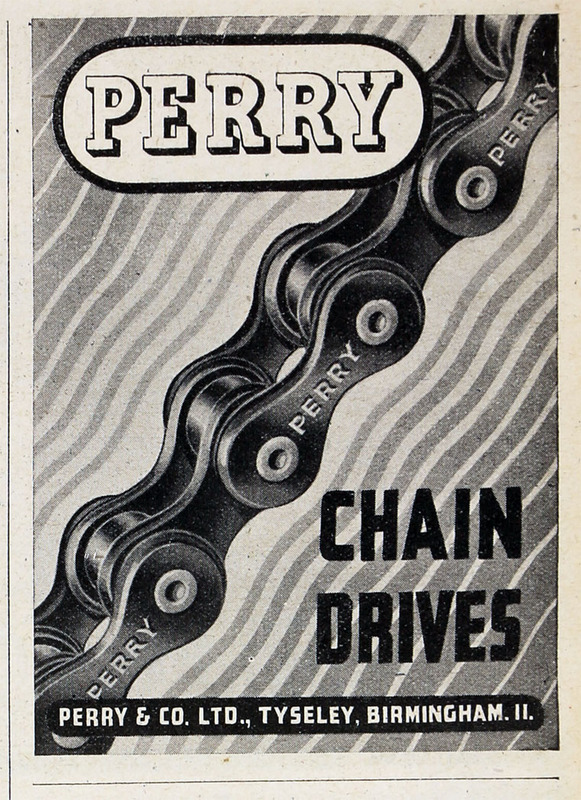 January 1934. 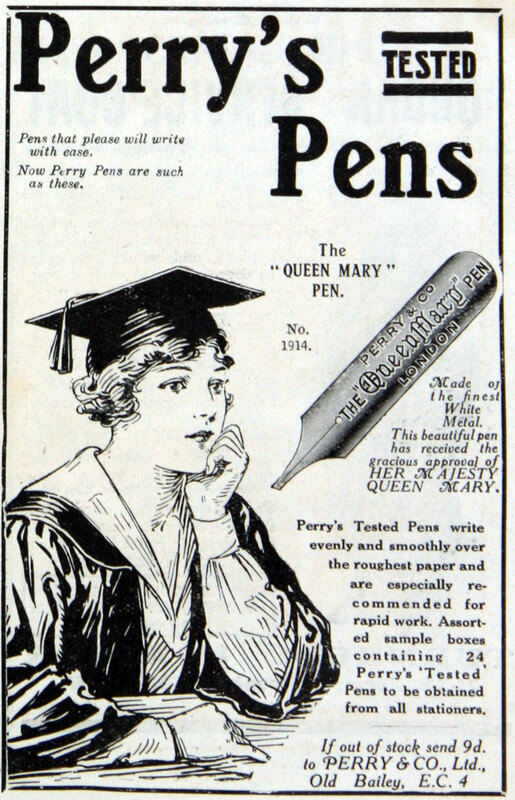 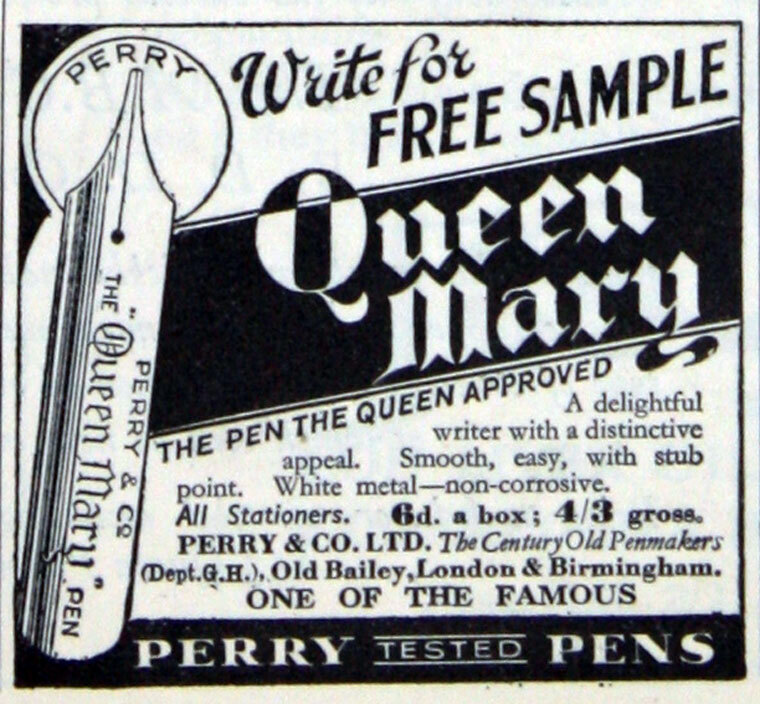 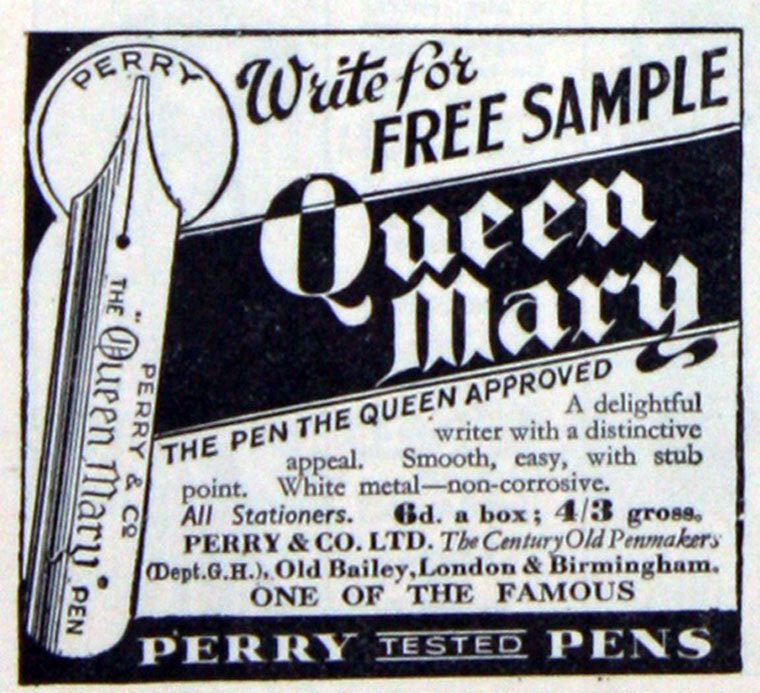 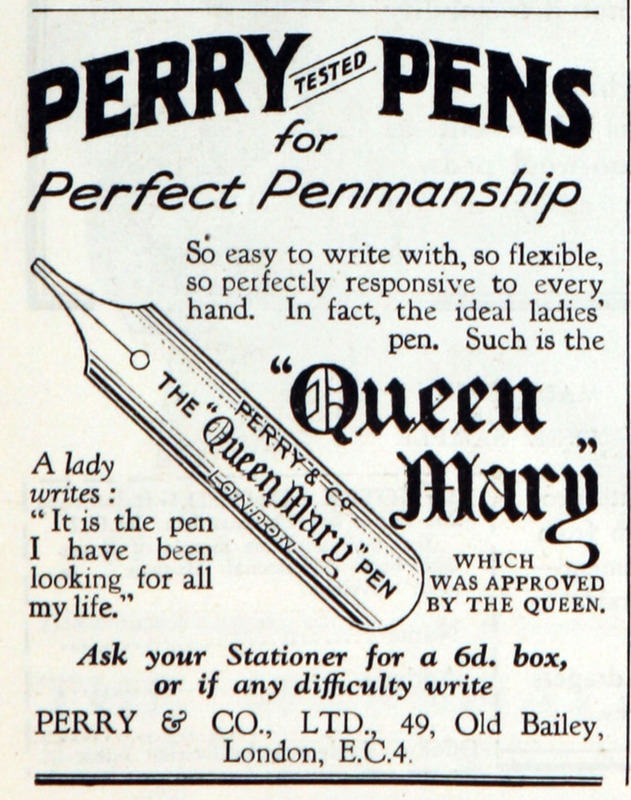 'Queen Mary' Perry Pens. 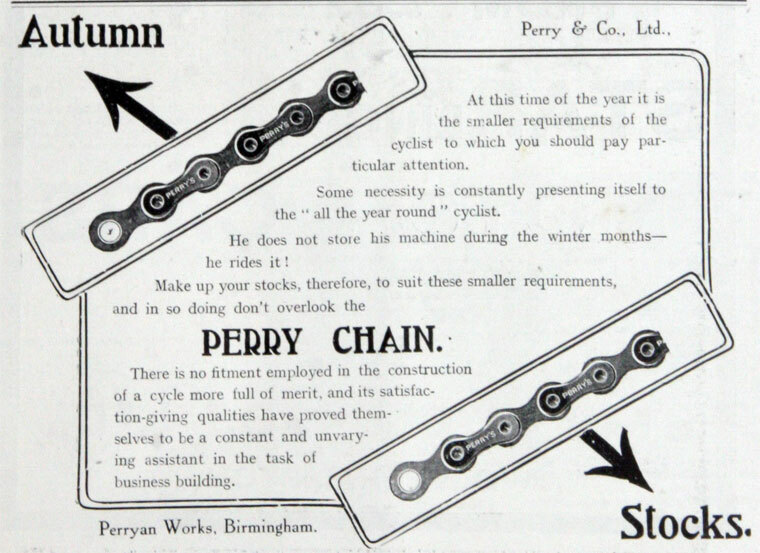 Steel pen and cycle chain manufacturers. 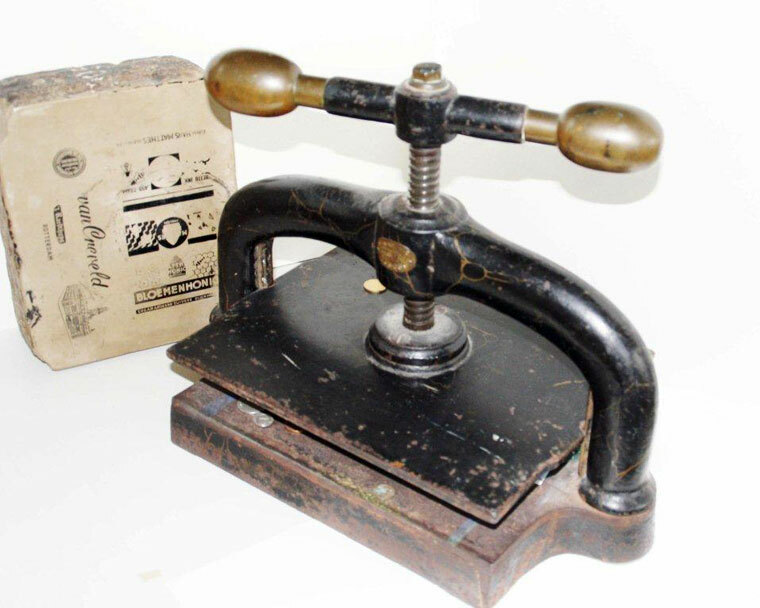 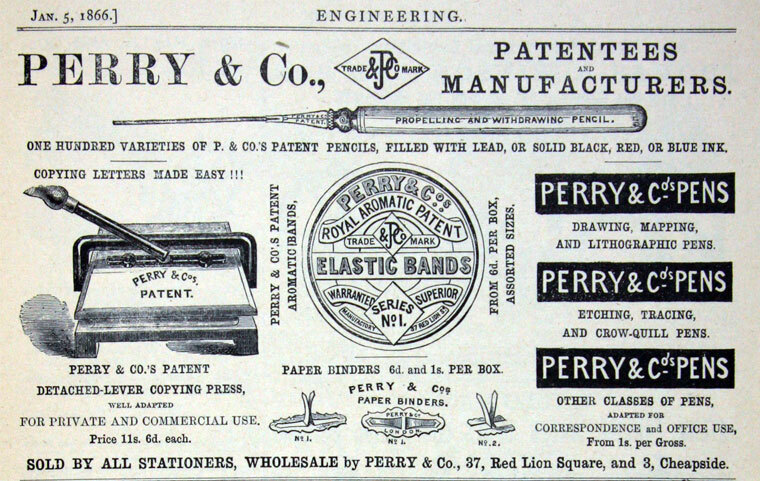 1824 The firm was founded in Manchester, as James Perry and Co, but later moved to London, where they made and sold pens and pen-holders (including those of Josiah Mason), pencils, elastic bands and ink, and dealt in stationers' supplies. 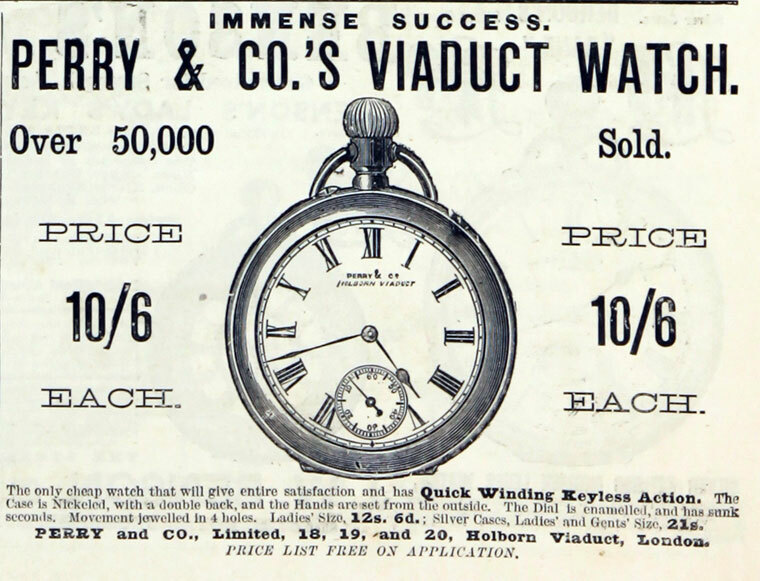 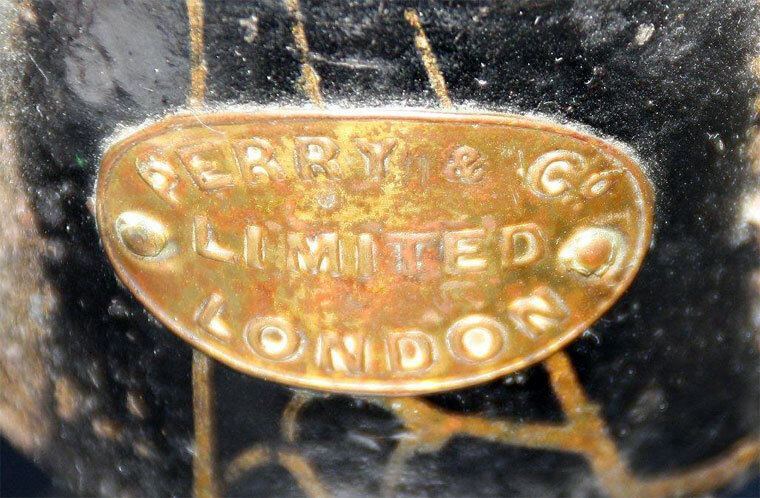 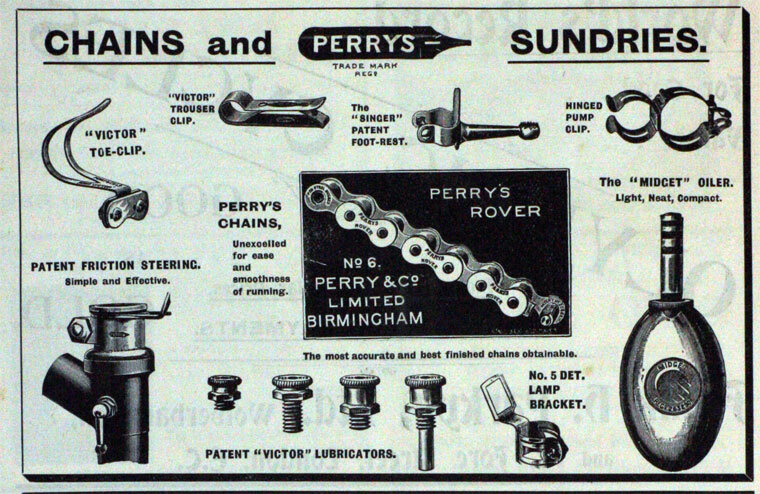 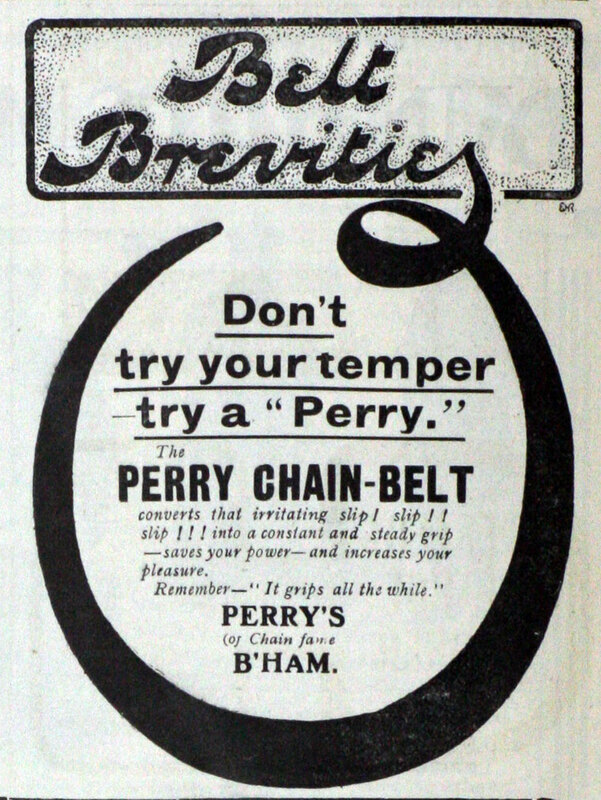 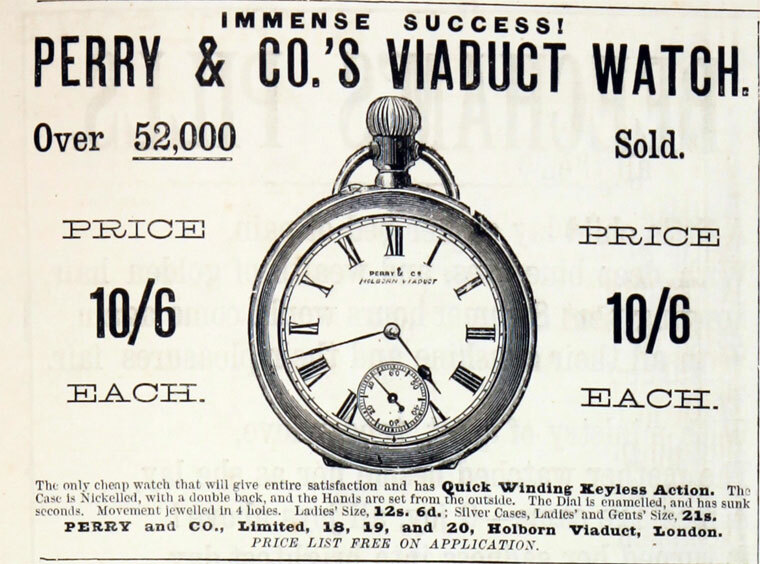 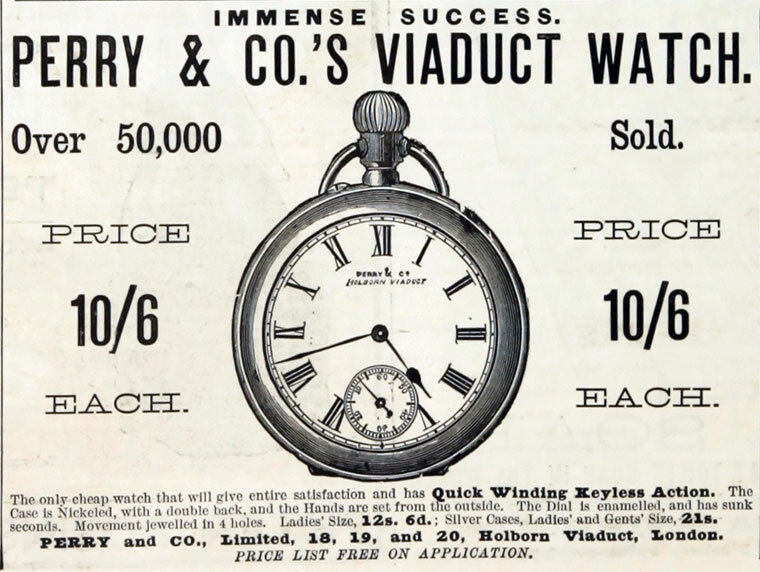 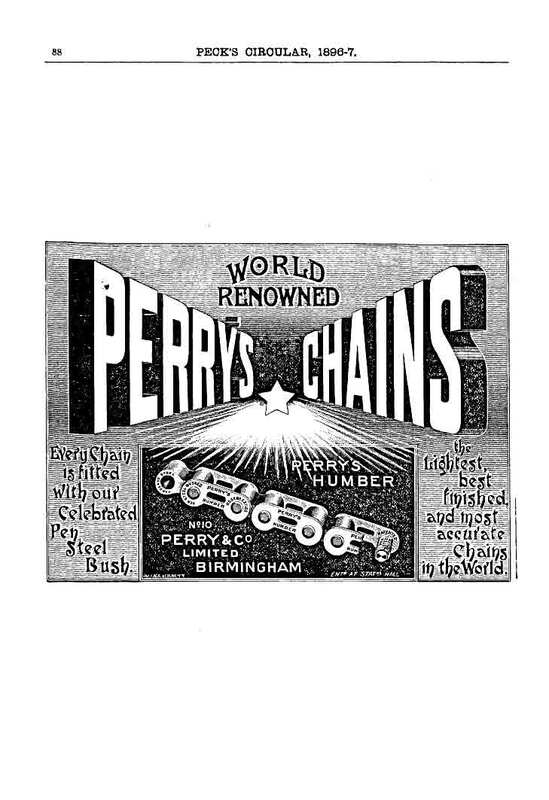 Sometime after 1847, James Perry and Co became Perry and Co as the name was used in an 1866 advert. 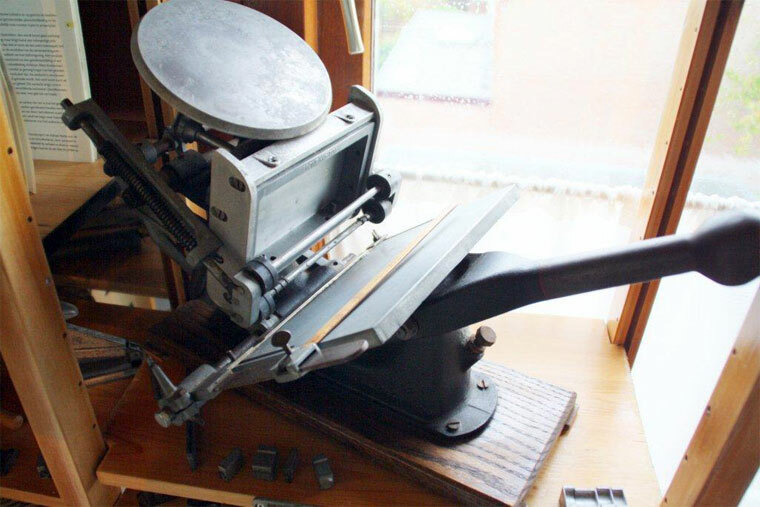 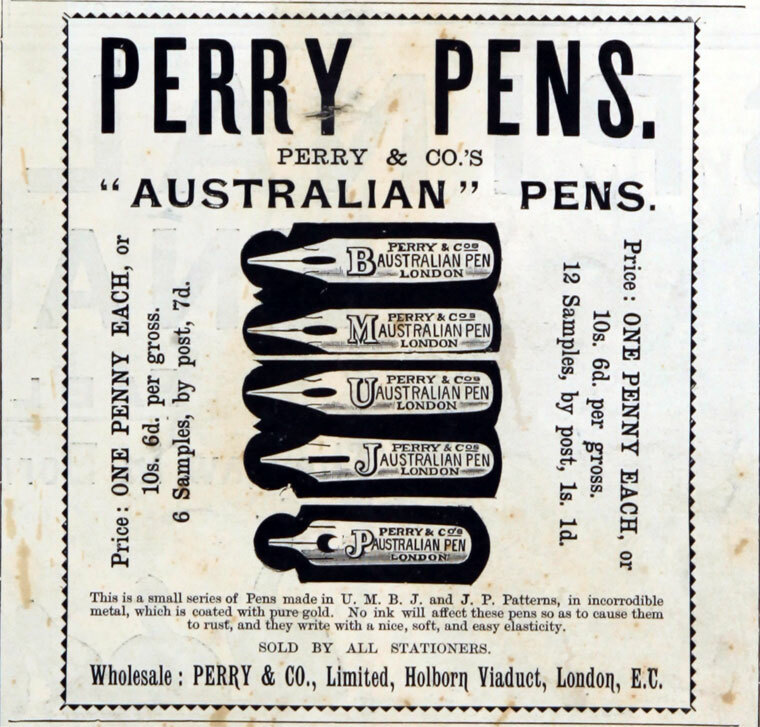 1876 Josiah Mason's steel-pen firm came together with Wiley and Son, pen and pencil case makers, and James Perry and Co under the title of Perry and Co Ltd and acquired its Birmingham base at Lancaster Street Works. 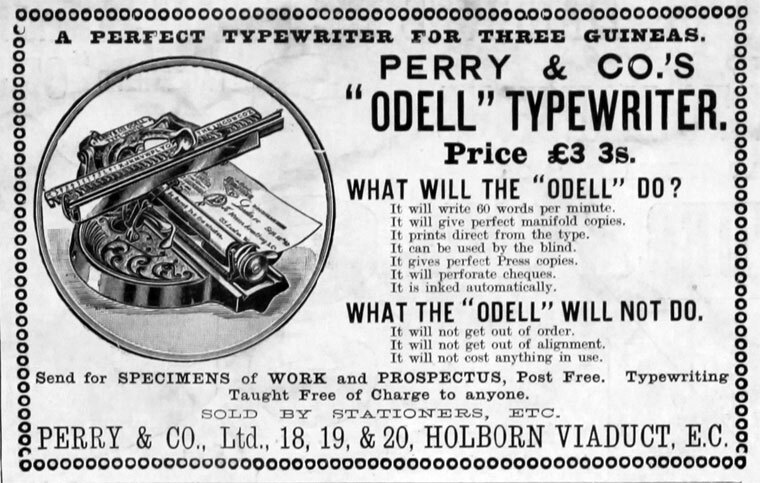 The London office was at 37 Red Lion Square but moved to 19/20 Holborn Viaduct the next year. 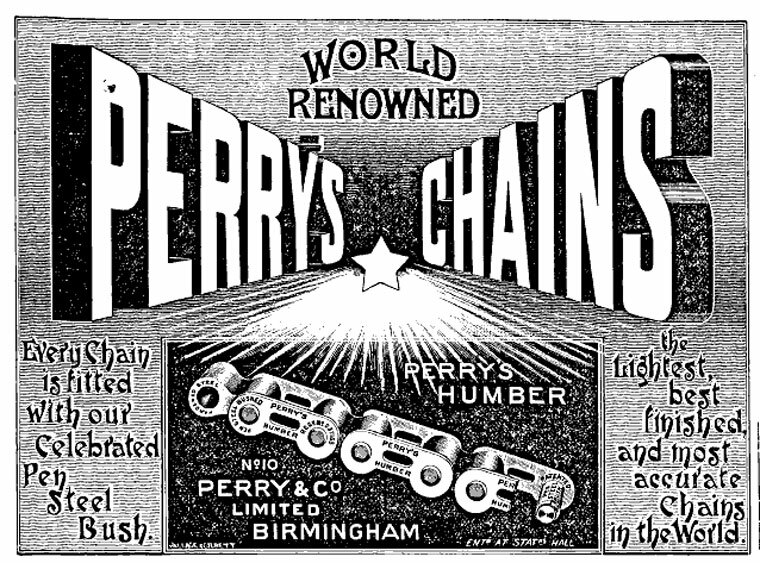 1897 It was decided to reconstruct the company in connection with some alterations in the business;Perry and Co Ltd was registered on 14 May. 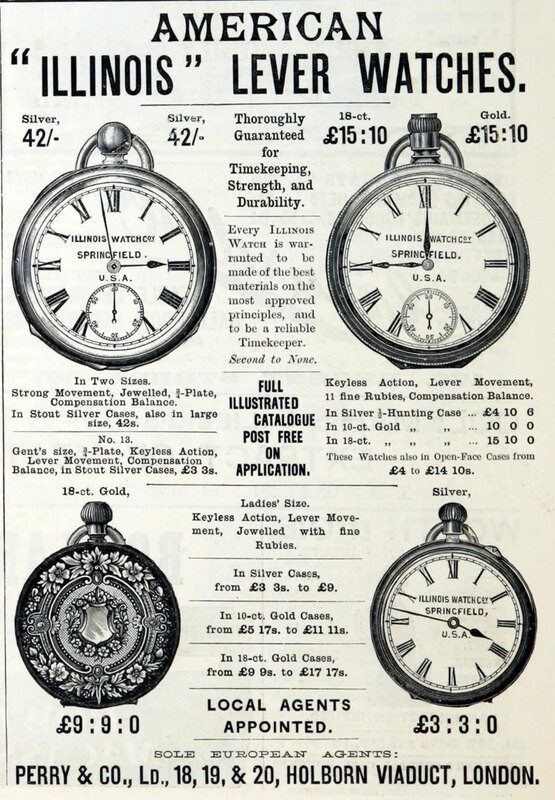 1899 J. W. Bayliss joined the company. 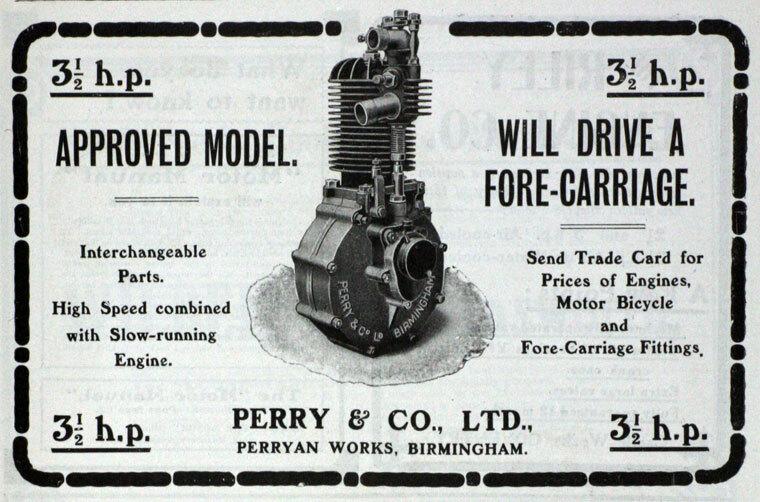 1912 The Perry car was designed and Perry Motor Co was formed. 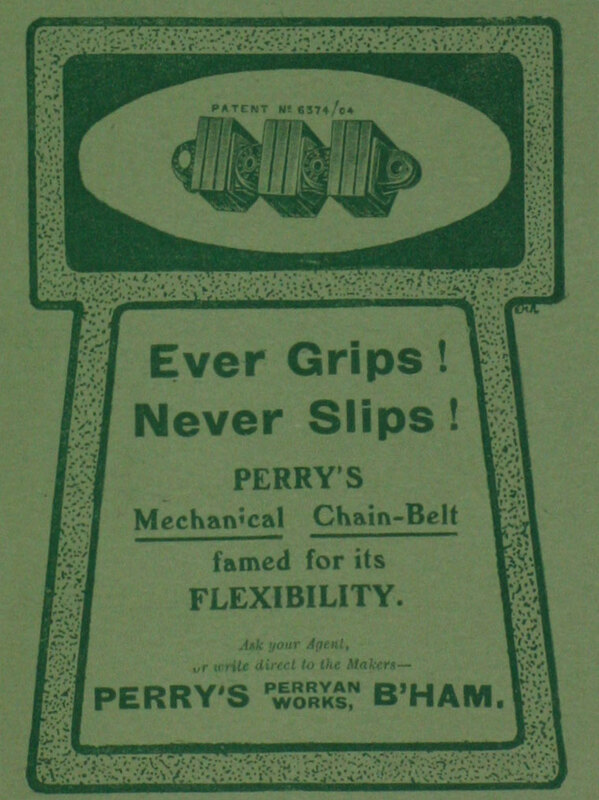 1926 Acquired Bayliss, Wiley and Co. J. W. Bayliss joined the board. 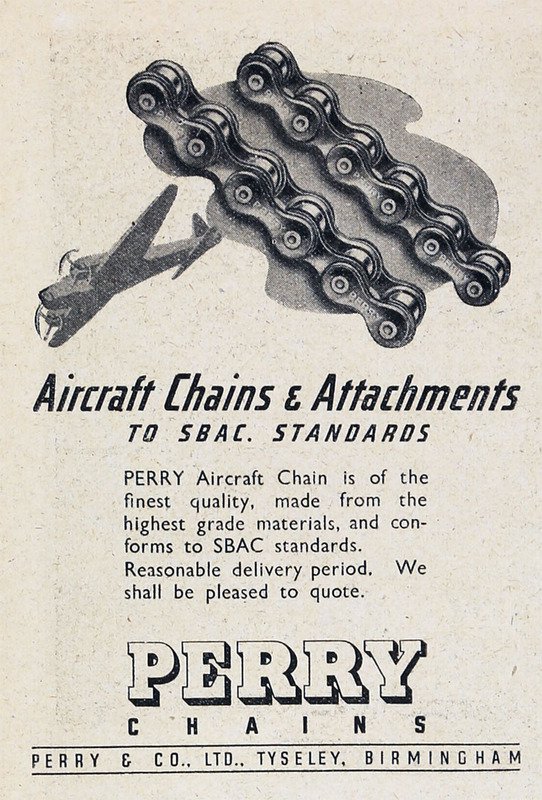 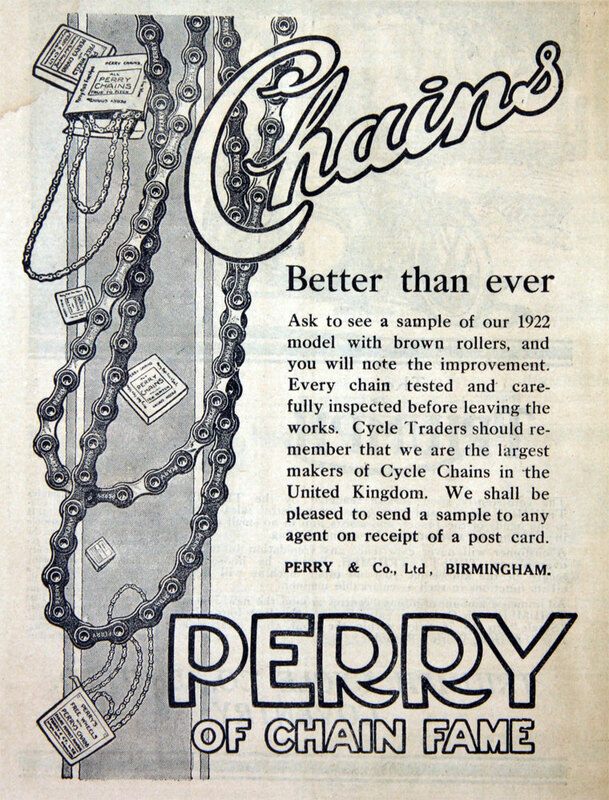 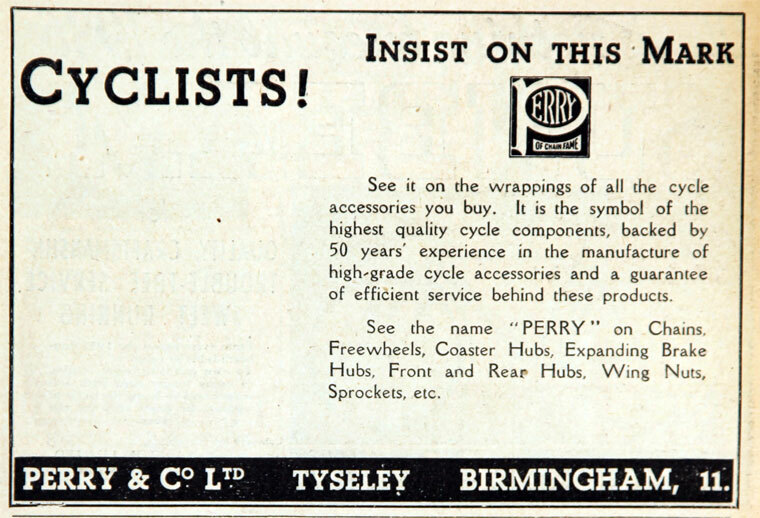 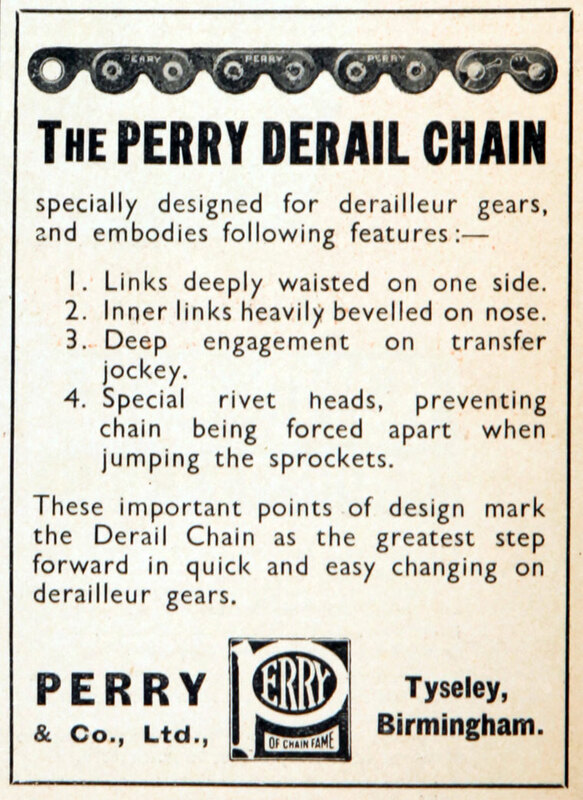 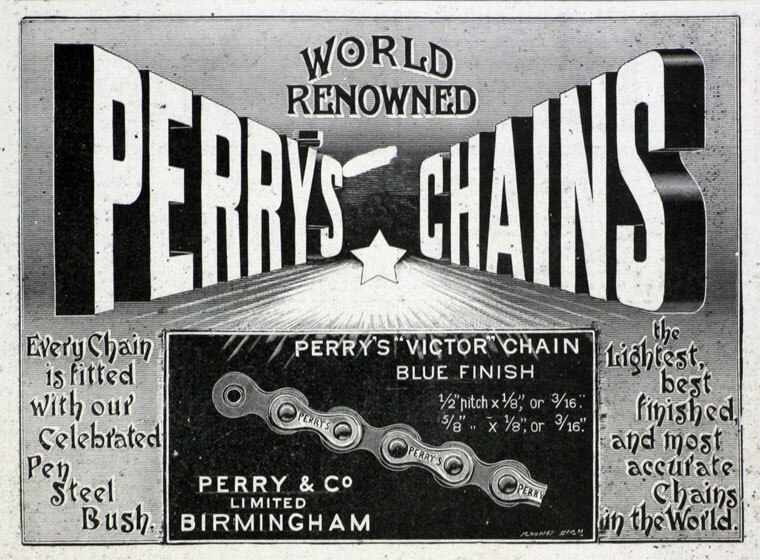 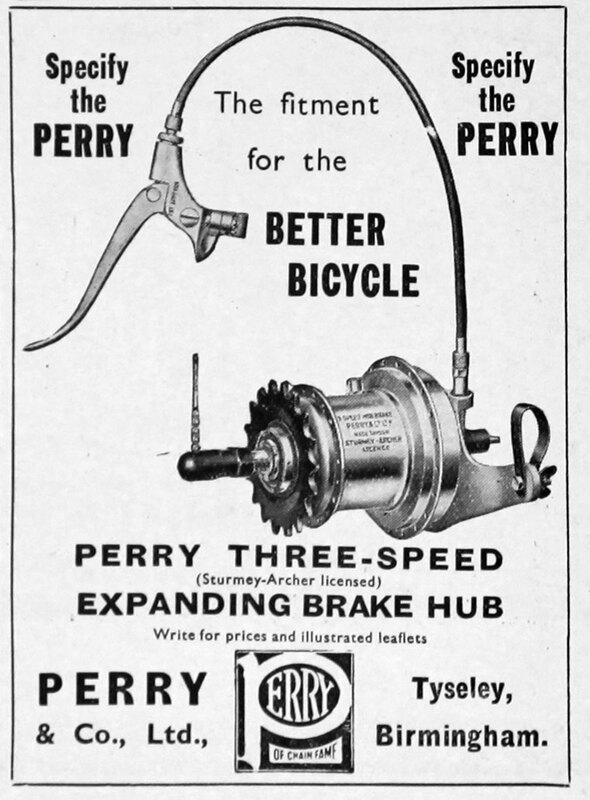 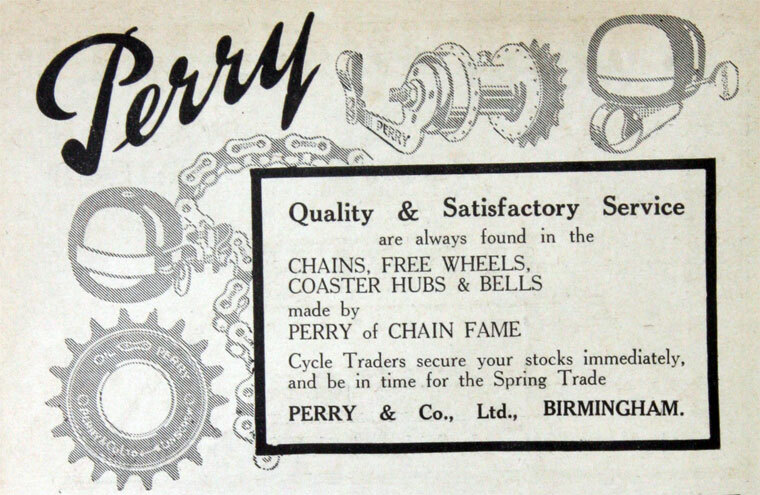 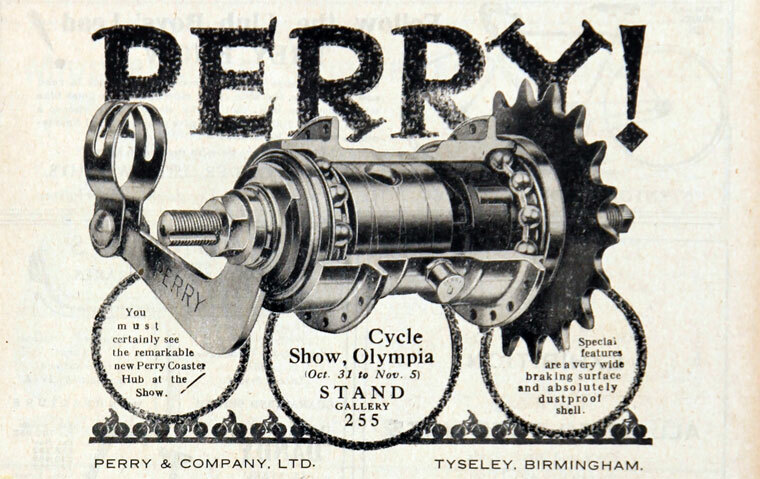 1945 The company transferred its chain making and cycle coaster hub business to a subsidiary, Perry Chain Co Ltd. 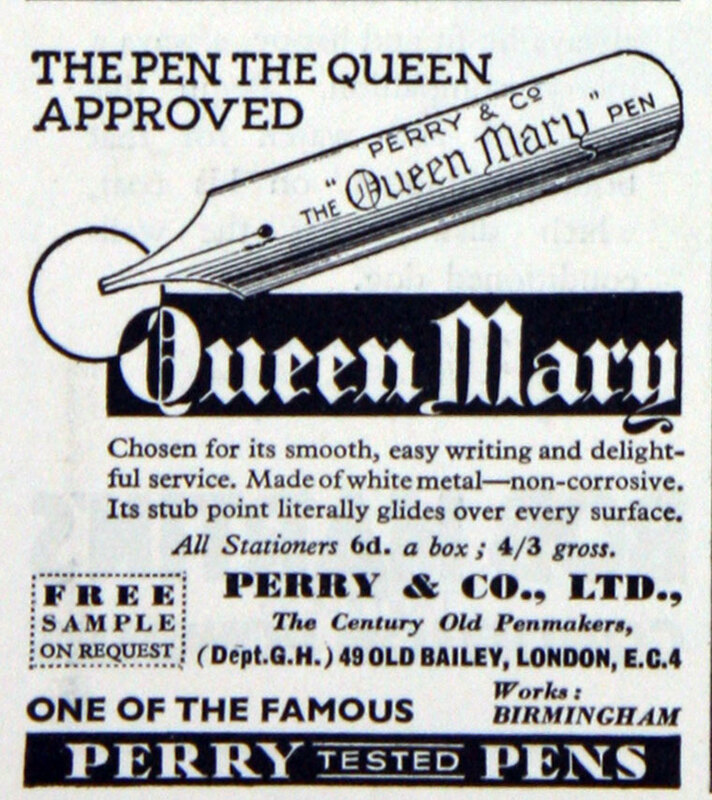 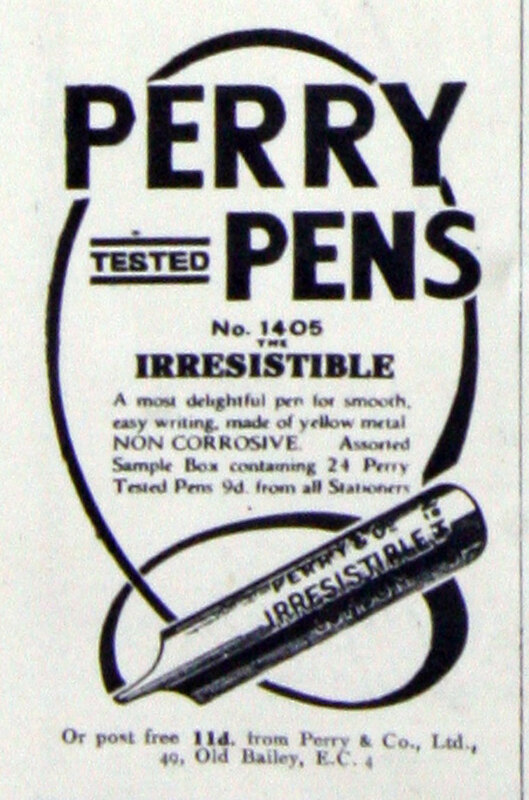 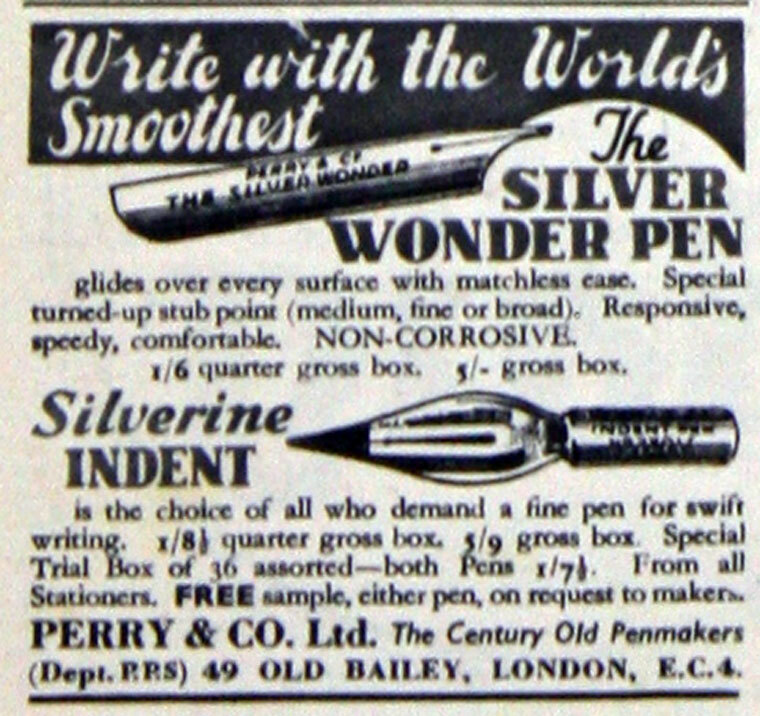 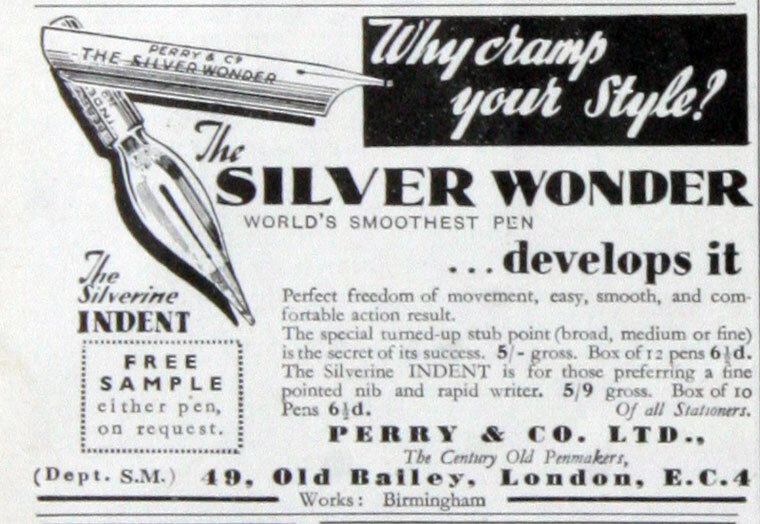 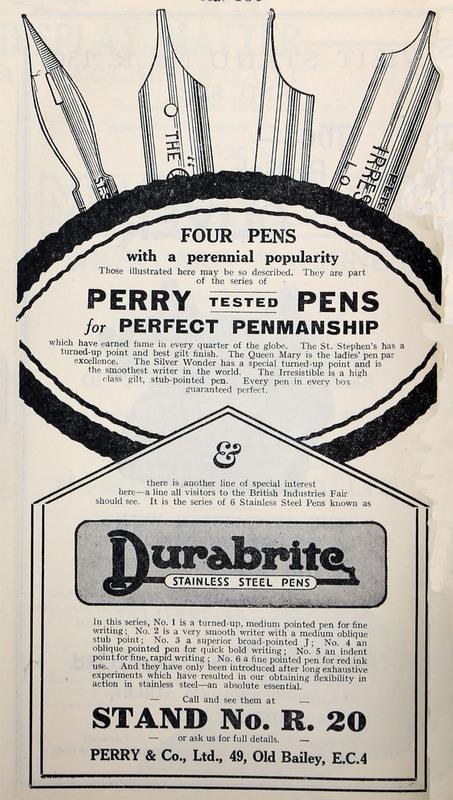 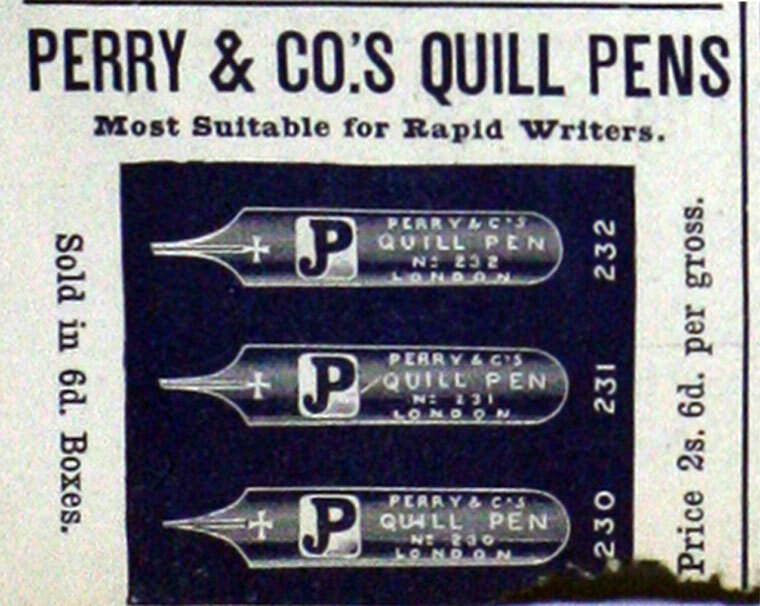 The pen business was continued by Perry and Co (Pens) Ltd, while Perry and Co (Holdings) Ltd became the main parent company, with financial control of the whole Perry Group. 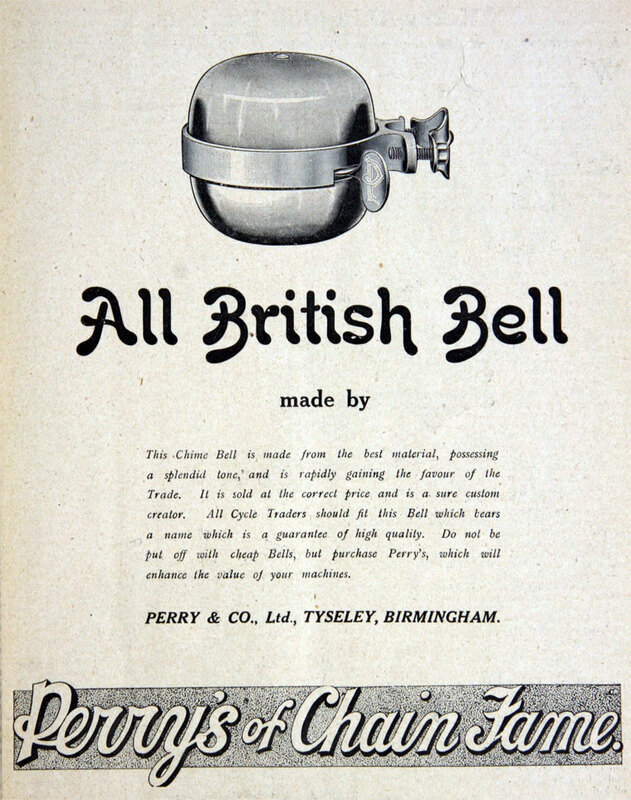 This page was last edited on 8 November 2017, at 10:28.